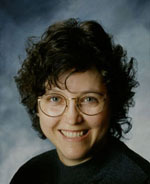 Katrina K. Guarascio lives in New Mexico where she teaches Literature, Language Arts, and Creative Writing. She produces a monthly poetry performance, The Smokin’ Slam, which is the only monthly open mic, feature, and slam venue in Rio Rancho, New Mexico. Katrina has authored several poetry collections including September (2013), my verse (2014), and The Fall of a Sparrow (2014), and is an author/editor of the poetry anthology Light as a Feather: An Anthology of Survival (2014). Visit her website or explore her Amazon author page. 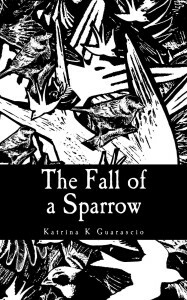 I met Katrina K. Guarascio at a local publisher’s meet-and-greet where she introduced me to performance poetry. That encounter led to the following interview. Is there something in your poetry or writing journey that you struggle with? Sometimes I struggle with the vulnerability of poetry. After all, poetry can be very personal and is often inspired by specific events and experiences. The trick is to be honest and still be effective. Virginia Wolff once wrote about how, in order for a female writer to be truly effective, she must “kill the angel in the house.” Basically that little voice in all our heads (I’m sure men have it, too) that says “don’t write about this” or “you can’t say that word” or “what will people think.” You have to kill her good and dead, and then you can develop into an honest writer with a voice which truly reflects yourself. I struggle with my instinct to self-censor. Basically, performance poetry is any type of poetry performed in front of an audience. However, it can take on many guises. Some people enjoy the simplicity of the Open Mic, where all forms are generally accepted, while others prefer something more theatrical, such as performing alongside musicians (even busking on street corners) or One Man Shows that might incorporate poetry, prose and music. The competitive form of performance poetry, Slam Poetry, incorporates rules, judges, and expectations: poems are judged by five randomly chosen audience members on a 0-10 scale, Olympic style; props or musical instruments cannot be used; poems must not exceed three minutes and ten seconds or penalties will ensue. There is a winner of the slam, although usually there is no grand prize. What is the difference between “regular” poetry and performance poetry? That depends mostly on the poet and the poetic intention. Any poem, regardless of length, theme, or form can be read aloud and therefore can be performed. However, at least in the arena of Slam poetry, poets may prefer certain themes over others—personal identity (like race or gender), political unrest, and traumatic experiences tend to be more effective to a Slam audience. Also, the use of comedy can be very effective toward an audience of mixed interests. Is there a difference between writing “regular” poetry and writing performance poetry? Do you write with performance in mind? There is much controversy on this topic among performance poets. I believe there is a difference when it comes to a performance feature or a poetry competition. Some poems are better suited for an audience because they will have a stronger effect on the crowd and elicit a stronger reaction. Some poems, playfully referred to as Page Poems, are more effective left on the page for the reader to interpret. I have crafted and practiced several poems to be read in such competitions and performances, while others which I love just as dearly remain in the pages of my books. Do you think education makes a person a better poet? Yes, education makes a person a better poet, an education in literature, but not exclusive to literature. The more read, the more written, the more listened, all these things will contribute to the development of the skill of writing. I am a far better writer now than I was fifteen years ago not only because I write continuously (sometimes obsessively) but also because I read, I witness, and I absorb the world around me. What can a prose writer learn from a poet? The benefits of reading, hearing and writing poetry are unique to the individual, but worthy of everyone. The more you experience, the more chances you have of awakening that inner muse. Even someone who is not a poet may find inspiration, emotion or catharsis in a poem, just as someone driving down the road listening to the radio may break into tears because the lyrics of a song hit them at just the right time and in the right way. Also, poets do write in a slightly different manner than prose writers or lyricists. The ability to be concise and economical with words and images is a special talent. When did you start on your writing journey? Reading and education were valued in my home, but no one read classical literature. No one read poetry. I remember specifically requesting a copy of Hamlet when I was eleven years old, but I don’t recall the specific moment when I decided to be a writer. I just started writing and haven’t stopped yet. I don’t write because I want to or even because it gives me great joy (at times it can be very frustrating). I write because I have to. It feeds my soul and gives me a form of peace. I enjoy sharing it with others but I also have some written works I will never share with anyone. I love expressing myself, my ideas, my beliefs, but it’s more than that. It’s my trade. I am not a painter, a photographer, a cook; I am a writer. That is my art form. That is who I am. This interview was originally published in the April 2012 issue of SouthWest Sage.